Breast cancer center in Palatka, Florida featured as an early adopter of innovative early-stage breast cancer treatments. AccuBoost would like to commend Dr. Anand Kuruvilla of the First Radiation Oncology Group, for his patient education, support and appreciation efforts, Most recently, through his leadership, the Cancer Center of Putnam produced a “Survivorship Celebration,” where they invited current and former patients, their families, and friends to a day of celebrating “a life regained and spirit renewed.” This event, in which more than two thousand people attended, was held on Saturday, October 12th, 2013, and featured skydivers, a car show, live entertainment and provided all attendees with important information on screening for breast, colon, lung, prostate and skin cancer. Through the dedication of Drs. Kuruvilla, Sullivan and Vedulla, the Cancer Center of Putnam have produced one of Central Florida’s finest cancer support events in recent memory. Congratulations to all involved. 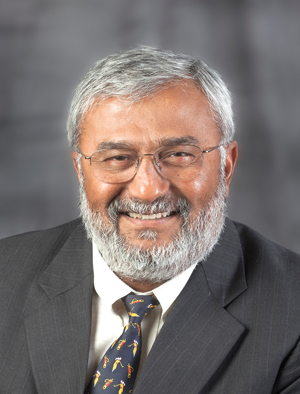 Originally from India, Dr. Anand Kuruvilla moved to the United States in 1982. After completing his undergraduate medical training in India, he attended Derbyshire Royal Infirmary and the Royal Berkshire Hospital in England for specialized post-graduate training in Radiation Oncology. Upon arrival in the United States, he spent another four years studying Radiation Oncology as a resident at the SUNY Downstate Medical Center in Brooklyn, New York and served as Chief Resident there in his final year. After obtaining Radiation Oncology Board Certification in 1986, he practiced as a physician partner at Kaiser Permanente in Los Angeles, California, until his move to Florida in 1991 to join the Florida Radiation Oncology Group. In 1999, Dr Kuruvilla also achieved Board Certification in Palliative and Hospice Medicine. In 2000, he was awarded Fellowship in the American College of Radiation Oncology. Dr. Kuruvilla has a special interest in genitourinary cancers. He helped pioneer the use of radioactive seed implants for treatments of prostate cancer in North Florida. He with FROG established the Ultrasound-guided seed implant program at Putnam Community Medical Ctr., Palatka, Jacksonville’s Baptist Medical Ctr., Memorial Medical Ctr., Orange Park Medical Ctr., St Augustine’s Flagler Hospital and most recently at Lake City Medical Ctr., Lake City. Today competent FROG physicians with local urologists have made seed implants the most sought-after therapeutic option for Prostate Cancer in North Florida. 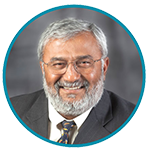 Dr. Kuruvilla is currently the Director of the Cancer Center of Putnam. He has served as Chief of Staff of Putnam Community Medical Center and is currently a member of the Board of Trustees. He is a member and past President of the Palatka Rotary Club, the Putnam County Medical Societies, Florida Medical Association, American Society of Therapeutic Radiology and Oncology, American College of Radiation Oncology, and the American College of Hospice and Palliative Medicine. Dr. Kuruvilla actively cares for his patients and is a strong advocate for hospice and palliative care for appropriate patients. Anand is an active volunteer and board member with the local American Cancer Society, having chaired the Community Outreach program for screening and early cancer detection, and has also held positions in the Florida Division of the American Cancer Society. Speak with Dr. Kuruvilla to learn if AccuBoost is a good fit for you.